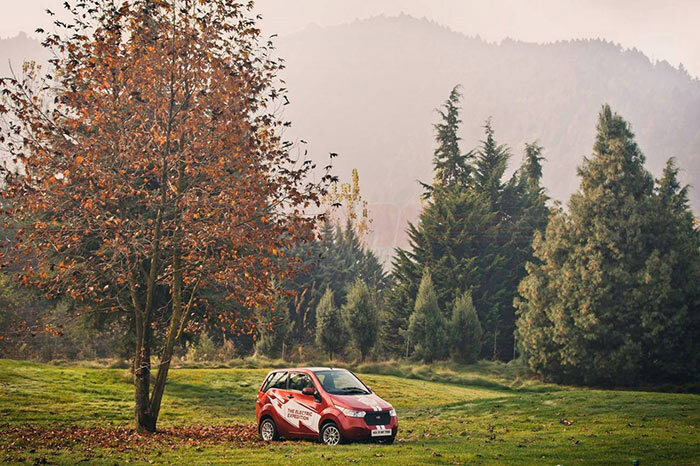 Mahindra Reva Electric Vehicles, a part of 16.9 billion USD worth Mahindra Group has kick started the all electric car expedition named as ‘Mahindra Reva Goodness Drive – Kashmir to Kanyakumari’. 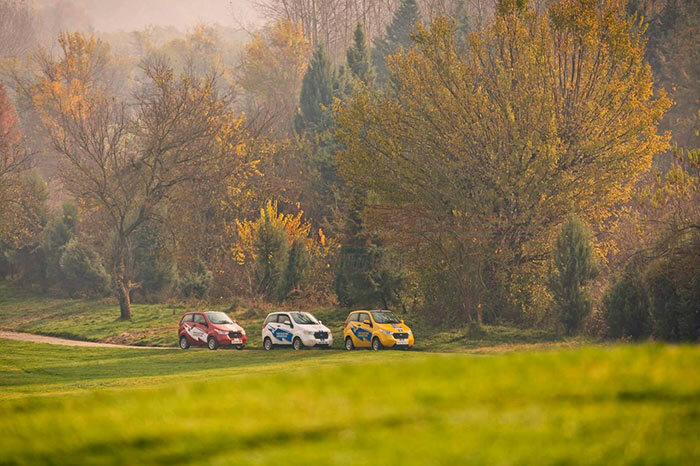 This long drive from Kashmir to Kanyakumari is carried out by 3 Mahindra e2o cars. The all-electric, zero emission Mahindra e2os being driven to Kanyakumari (Tamil Nadu), covers the entire length of India within 30 days. 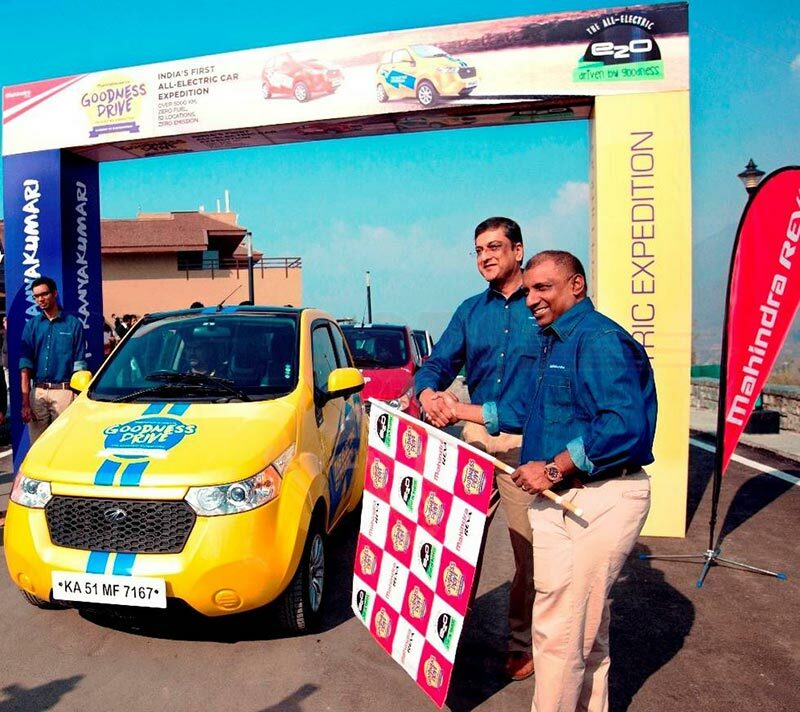 The drive from Kashmir to Kanyakumari was flagged off by Mr Arvind Mathew who is the Chief Executive Officer of Mahindra Reva, in the presence of Aravinda De Silva, who is the former International Cricketer from Sri Lanka. The Mahindra e2o convoy during its journey would pass through 52 different locations within India and shall traverse a distance of 5,000 kilometers. The whole idea behind ‘Goodness Drive – Kashmir to Kanyakumari’ expedition is to demonstrate the advantages of electric vehicles, thereby helping in the manifestation of a clean and green eco-system. The rally would also propagate a zero emission, zero fuel drive and also showcases the full potential of connected car and helps eliminate the myths regarding range anxiety. Mahindra is using this expedition as a right opportunity to demonstrate the e2o’s ability to traverse tough and difficult terrain, to accelerate instantly, shortest turning radius of the car as well as the convenience of clutch free driving. The Mahindra e2o is a manifestation of Mahindra’s vision of ‘Future of Mobility’ which encompasses the ‘5Cs’ framework of Clean, Convenient, Connected, Clever and Cost Effective vehicle technology. Talking about the car, Mahindra e2o is an Electric Vehicle (EV) that is designed as a mobility solution for a sustainable zero-emissions society and gains high relevance in the face of issues like environmental degradation, pollution related health concerns, climate change, energy security and rising oil prices, all of which plague communities globally. The e2o is manufactured in Mahindra Reva’s state-of-the-art IGBC platinum certified plant in Bangalore. The vehicle can be purchased from authorized dealers or alternatively, a test drive can be booked after talking to the contact center executives.